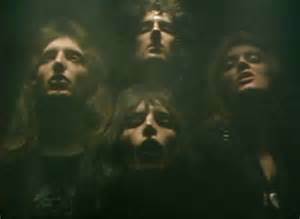 If you're a mad Queen fan - the group and not the person, then you will be thrilled to hear that Queen are to release their own beer for the Bohemian Rhapsody anniversary. 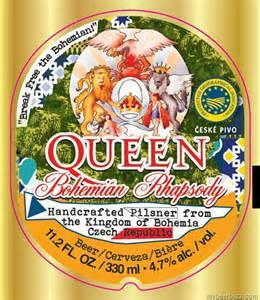 Special lager has been created to mark the 40th birthday of their most popular hit Bohemian Rhapsody. 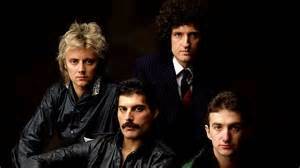 If your love for Queen is only equalled by your adoration of beer, then this is a happy day for you - because the old-school rockers are releasing their very own lager. The drink is being brewed to mark the 40th anniversary of the band's hit, and is said to be "golden" and "hoppy" in taste. 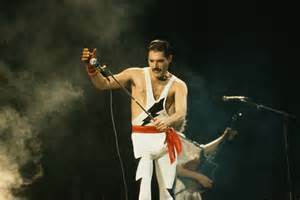 Former frontman Freddie Mercury apparently designed the Queen crest which will feature on the label when he was a student at Ealing Art College (below). 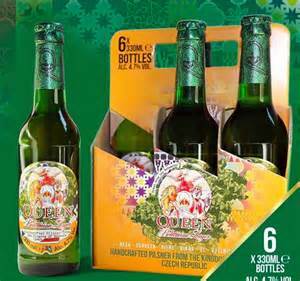 Queen Bohemia Lager, is a 4.7% ABV Pilsner brewed, fittingly, in the Bohemia region of the Czech Republic. Hand-crafted using local ingredients from the Czech Republic – soft Czech water, Moravian barley, hops from the Žatec region, and their brewer’s own yeast – the result is a “very drinkable pure product,” according to the beer's official website. Queen Bohemia Lager is brewed at the Schwarzenberg brewery in Protivín, where Michal Voldrich won the title of Best Czech Brewmaster in 2014. While the beer is brewed in Czech Republic, it doesn’t appear to be currently available at local retailers. Keep an eye out at specialty beer shops in the near future. For now, Queen Bohemia Lager can be purchased at the website of RnR Drinks, the official online retailer of Queen drinks. If you live in the UK, a six pack will set you back £12.00. Shipping costs to the Czech Republic seem to be prohibitive, however. The drink comes hot on the heels of the band's own vodka, Killer Queen, which was released to celebrate the 40th birthday of their song of the same name. The band aren't the only musicians to dabble in beer brewing. Oklahoma trio Hanson famously produce their own beer, Mmmhops, while heavy metal group Iron Maiden have a beer called Trooper, made by Robinsons Brewery in Stockport. To paraphrase Freddie: "Is this real life? Is this just fantasy?"